Putting Together Steampunk Outfits — Part I | STEAMED! I hope everyone had a great Mother’s Day. We’re holding a Steampunk writing challenge over on the Writing Steampunk Yahoo group during the month of May. There’s still time to join in–make sure to say you found us on Steamed. We have quite a few prizes to give away today and if you don’t win we still have a contest going for Steampunk pocket watch. First off we have a The Twisted Take of Stormy Gale mug and some romance trading cards from Christine Bell. Next we have the prize pack of Steampunk e-books from Carina Press. Finally, we have the ARC of The Girl in the Steel Corset by Kady Cross. Congrats to our winners, please email me at suzannelazer (@) hotmail to claim your prize and thanks to all who entered. More contests will be coming. 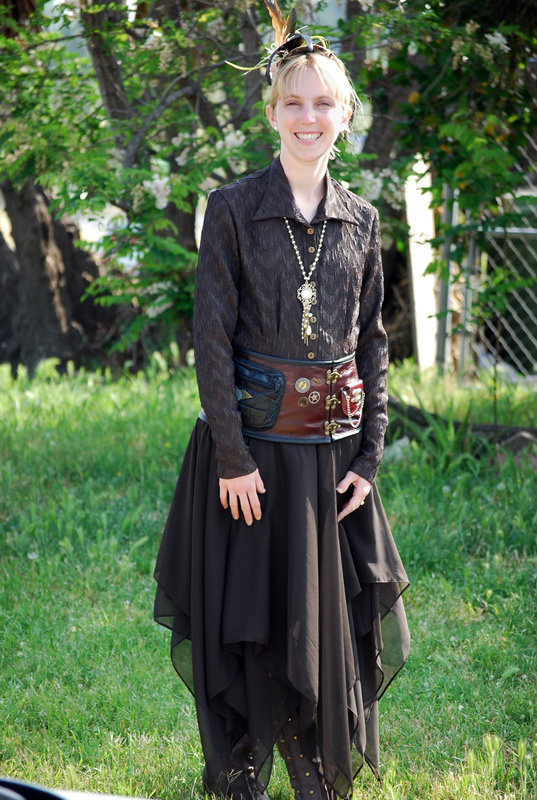 I wanted to share how I put together some of my Steampunk outfits as I’m amassing more for the different panels and speaking engagements and such I’m starting to do. I’m not a seamstress in any way shape or form, so I tend to buy things here and there over weeks, months, or even years and put them together. Hopefully this will be some inspiration for your own Steampunk outfits. A word of warning, I lean very much towards the Steampunk princess vein and don’t have a ton of gadgets–or even goggles. I needed an outfit that was Steampunky, but not full on for events where I’m speaking as a Steampunk writer, but not necessarily on Steampunk. I started with this outfit from Steampunk Threads as a base. I chose it because it was feminine and a bit old fashioned, but not specifically Victorian. It could serve as a dress for anything from a tea to a school visit and could easily be Steampunked up. For sake of time I bought this ready-made outfit, but something similar could be fashioned from thrift-store finds–or even your own closet. I added some really great boots from Clockwork Couture I already had. These boots are unfortunately out of stock, but they have other amazing styles. I added a hat very much like this (because you know me and hats) only there’s more green in mine. A pearl necklace with a little clock on it from my jewelry box added a little elegance. I love gloves so I got these from Clockwork Couture, which go with several outfits, though I forgot to wear them when I did a panel at the Burbank Book Festival over the weekend. Finally, I put it all together with a really great belt I found at Mad Girl Clothing. They’re not up on the website yet (I bought it at the Renaissance Faire). Any waist cincher or corset would probably work, though I didn’t want to go the full-on corset route for this particular outfit. I liked this belt because there’s a little pocket for a pocket watch and an additional pocket that’s just the right size for some business cards and a handful of buttons. I don’t have a picture of it by itself, but here’s the whole outfit. Are you building a Steampunk outfit? Where are your favorite places to find things? I love the Ren Fair also for costume pieces. Picked up a pair of leather cuffs, with the same closures as your belt. But the rest of the stuff has been gathered over the years, lots of the pieces of the costume I wear for every day, just not all at once. That came out wrong — love the whole outfit, especially love the belt. I like it that it’s not over the top, that’s why the belt works. I love your outfit. The belt is simply amazing! Maybe you can teach the kiddos to sew and they can work on their own outfits while you make yours? Good luck! I want to see pics! I am currently working on my own polish/Ukrainian inspired steampunk outfit myself, and I that one of the most important pieces would be an apron. I wanted to highlight functionality, so I want most of my peices to be clearly functional, if not also having a secondary pourpose. I was also thinking of a simplified highland styled vest, as a corset is definately not my style. it looks like I’ll have a dark base skirt, and a tan one. 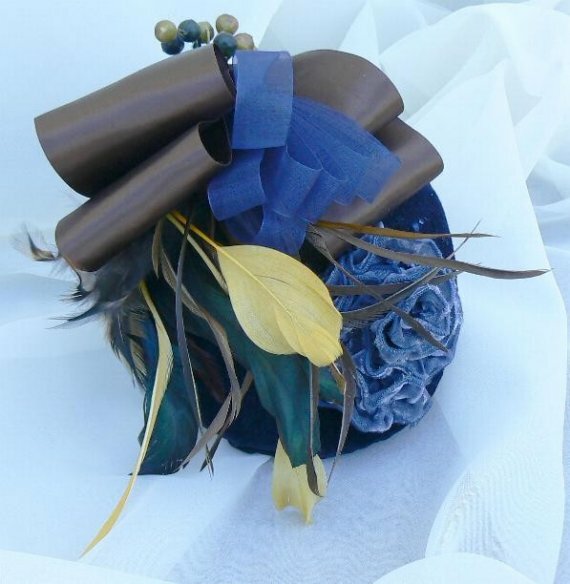 I’ve got a wide brimed straw sunhat which I am going to modify accordingly, and for indoor cases, a fascinator hairclip, which actually doubles as writing pen. Proper boots will likely be the most difficult and costly addition, since I won’t sacrifice sturdiness or comfort. From there I might attach side pouches onto a wide belt. Most items are “collected” from second-hand and modified further. the boots will be bought, the vest likely will be made, and a knit pair of fingerless gloves with opera style length will also be hand made. Oooh, that sounds amaizng. I want to see pics of that, too! Oh, I want the belt!